Update 7: New video from inside the green room has surfaced where 5 different shots can be heard. See below via TMZ. Update 6: Ronald McPhatter, the victim who sadly lost his life last evening, is now being identified as B$B Banga — an affiliate of Troy Ave and his B$B clique. Rest in Peace, Banga. Among the victims was the acclaimed Brooklyn rapper Troy Ave, whose real name is Roland Collins, 30, the first person shot, a source said. He was hit in the leg as he entered the green room and went by himself to NYU Langone Medical Center, where he was in stable condition, sources said. Some said he may have been planning to take part in the show. Ronald McPhatter, 33, was shot in the stomach and was declared dead at Beth Israel Hospital, a source said. Christopher Vinson, 34, was shot in the chest and taken to Bellevue, sources said. Maggie Heckstall, 26, who was shot in the leg, was recovering at Bellevue, where she was visited by rapper 50 Cent. A rep for the NYPD tells The FADER that one of the victims, a 33-year-old male who was shot in the stomach, has died after being brought to Bellevue Hospital. Update 2: Early reports flew that Troy Ave’s crew was involved in the scuffle that led to the shooting. While that is still unclear, Troy’s management has confirmed to us that Troy was grazed by a bullet this evening. More information on the way. Original Text: There were three people shot Wednesday night (May 25) in New York City before T.I. began his performance at Irving Plaza. 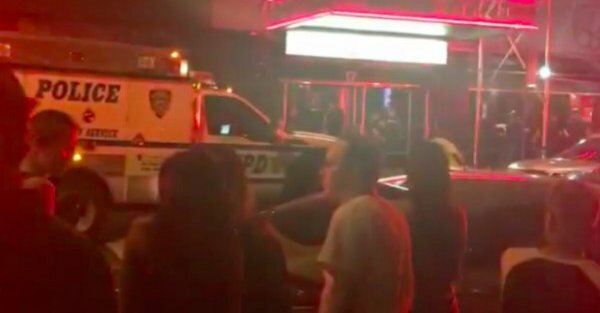 Reports out of NYC say a woman was shot in the leg and a man in the chest as the concert before Tip could hit the stage around 10 p.m. The injury of the third person has not been revealed. The venue held 1,000 people and reportedly already had a heavy police presence. There is currently no one in custody or a motive stated but we will update you as more information arrives.